Inescapably, Cynthia Cruz’s poems are otherworldly visitations. Yet upon closer inspection, all of their ingredients eerily bear the markings of this world, not another one, though the poems in these new sequences have obsessive titles pointing to the dead, both as an ominous totalizing category as well as a singular, specific voice that the speaker keeps conjuring into obscure influence. One feels these poems have their part not so much in pagan celebration as in a black mass. The poems are spectral rituals where objects of food and clothing, chemical compounds and a constantly shifting, disfigured sense of place holds hands quietly. I marvel at the slight ripples and torn seams of these short, yet bottomless lyrics for their anomalous formal choices: the calming turn between long and short breath lines; the occasional discontinuation of punctuation; the overall stillness of elongated lines as if consciousness has been arrested. In Duras: The Flock, she writes “Duras is part of a flock of voices: Duras, Lispector, Cixous, Bachmann.” No other poet I know is as capable as Cruz is of making such uncanny company among such modern female visionaries, but these poems prove to me that this poet—silently communing, warping the ordinary—herself is one. Blankets for the two cats. Drink tap water only in large cities. Drink boiled water and thinned tea. Take tablets of Resochin Bayer. Wash once a day with soap. Using one part mercuric chloride pre thousand. When possible, peel fresh fruit. When not, wash with soap. The word, Duras, another word, not hers. Donnadieu, her surname. Duras, the name of her father’s village. She renames herself. Quiet death. Duras, Duras. The name becomes her. 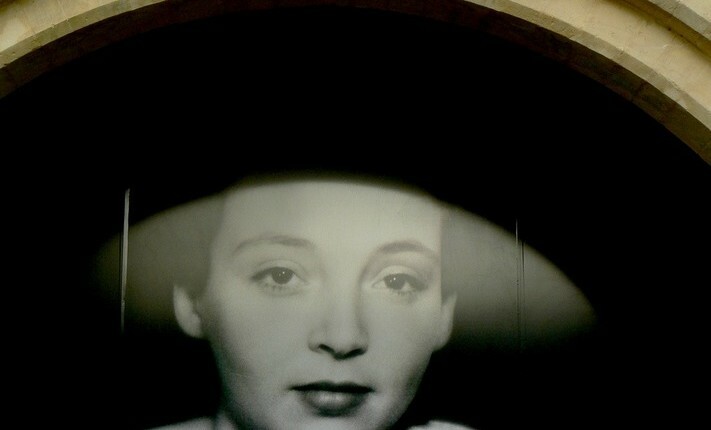 Duras is part of a flock of voices: Duras, Lispector, Cixous, Bachmann. Duras is high priestess. She is also the bottom rung. This is how the flock works: everyone on top, everyone on bottom. All are one in the flock. These ladies with smeared lipstick and torn hosiery. I find my place among them; I join the end of the queue, this parade of wrong voices. I find my place and I join them. Our words are tiny pills or bullets, each one packed with memory, packed with a multitude of meaning. Our words are free of grammar and syntax. Our pages, filled with holes so that the others may join us. We are dumb as children. Curiosity, the thread that pulls us. I find my place at the end of the line. The soft machinery of photographs. Memories of inherited sorrow, or questions, lost. A summer of wool and excrement. Rumors, inside the little black plastic box. Just the matter of loss and dislocation. Cruz is the author of three collections of poems: Ruin , published by Alice James Books in 2006, The Glimmering Room , published by Four Way Books in 2012, and Wunderkammer , her third collection, was published by Four Way Books in 2014. Her fourth collection How the End Begins also from Four Way Books, is forthcoming in 2016. Her essays and art writings have been published in Hyperallergic, The Enemy Reader, The Los Angeles Review of Books, and Guernica. Cruz is also currently at work on two poetry anthologies: one of Latina poets and the other, a collection of poetry by female poets around issues of consumption and nourishment. She is also currently at work on a collection of essays on language and iterations of silence. She has received fellowships from Yaddo and the MacDowell Colony as well as a Hodder Fellowship from Princeton University. Cruz earned an MFA from Sarah Lawrence College in writing and an MFA in Art Criticism & Writing from the School of Visual Arts and is currently pursuing a PhD in German Studies at Rutgers University. She teaches at Sarah Lawrence College.